Behind the wheel, Manuel Stamatakis is pictured with five of seven scholarship recipients: Brian Lefchak (front seat); Blake Bowden; Melanie Dabakis; Jennifer Hong (middle seat); and Yehuda Kerbel (back). Not pictured: Christopher Scanlon and Alexandra Tilocca. With the temperature in the 90s and a beautiful blue sky above, more than 100 golfers hit the links for the 14th annual Manuel Stamatakis Golf Classic, held by Drexel University College of Medicine, on June 22 at the Philadelphia Cricket Club in Flourtown. This year’s event raised $242,000 for scholarship funds for medical students with proven academic ability and financial need. With that, the amount of scholarship money raised since the event began in 2001 now totals more than $3 million. “One of the College’s guiding principles is our tradition of providing educational opportunity to those who might not otherwise have it, and this event helps us do just that for several future physicians,” said Stamatakis, founding chair of the College of Medicine and a trustee of Drexel University. This year’s fundraiser also saw the return of the Manuel Stamatakis Matching Gift Challenge for Scholarships in Medicine. Qualifying donations are matched dollar for dollar, doubling the scholarship amounts available to each medical student. John A. Fry, president of Drexel University, served as honorary chair of the event. 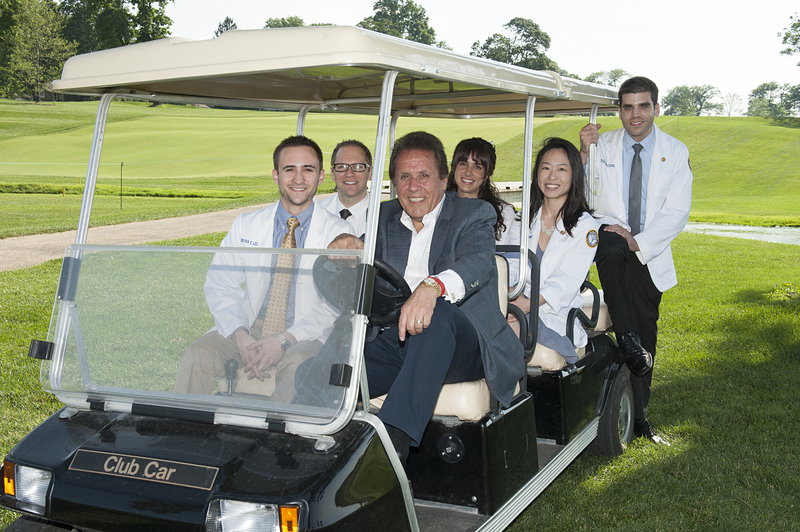 Co-chairs for this year’s golf classic were Daniel V. Schidlow, MD, Annenberg Dean and senior vice president of medical affairs at Drexel University College of Medicine; Michael P. Halter, CEO of Hahnemann University Hospital; and William R. Sasso, Esq., chairman of Stradley Ronon Stevens & Young, LLP.